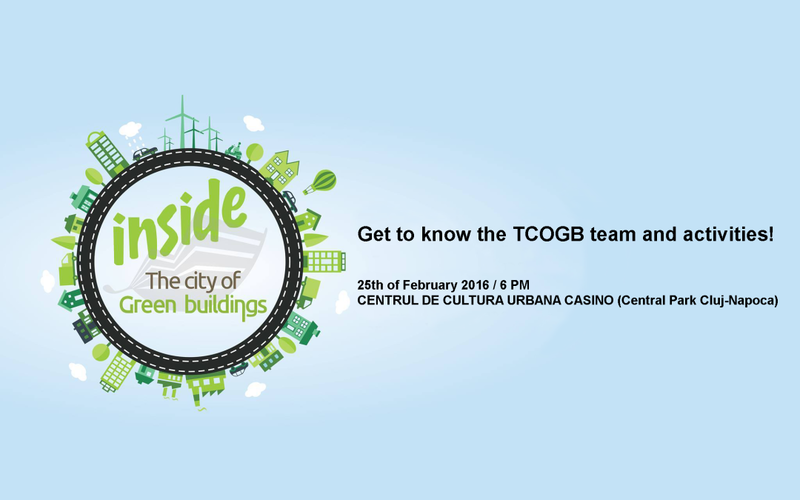 If you are interested in getting involved into projects and activities which can have a real impact and you want to meet people who are passionate about sustainable buildings, you should participate at our event which will take place on the 25th of February 2016, starting with 6 PM at Centrul de Cultura Urbana Casino, in the Central Park of Cluj-Napoca. There you can find out about the main activities of our organisation , past and future. You will meet our team which is composed of young people who are eager to bring a contribution in having a better world made by better buildings. Moreover, you will find out how you can join the team as a volunteer.